Mike is a registered patent attorney in Merchant & Gould's Denver office. Mike’s experience ranges across all areas of IP, with an emphasis on patent prosecution, post-grant proceedings, licensing, opinions, litigation, and due diligence. He focuses on strategically acquiring and protecting intellectual property rights that fit the individual needs of his clients. From large international companies to local inventors, medical imaging and optics to outdoor sports, Mike has the skills, knowledge, and hands-on experience needed for sophisticated IP portfolio management. To best manage clients’ IP portfolios, Mike takes a deep dive into his clients’ businesses and products. He gets to know long-term timelines, overarching goals, the myriad uses for the intellectual property, and so much more. Then he applies the full breadth of resources Merchant & Gould has to offer to do right by his clients. Mike’s strategic approach enables him to align all legal matters regarding intellectual property with all other aspects of a client’s business. He aligns goals regarding IP protection with monetization and business growth to ensure clients get the most out of their IP portfolio. Each new client brings great ideas, breakthrough innovations, and brilliant technology. And it’s the technology that Mike gets most excited about. He revels in seeing new and up-and-coming tech, learning about and interacting with unique technologies, and promoting the many benefits they bring to society. It’s Mike’s passion for technology that keeps him fully committed to his work and his clients—he knows the great impact that people are making, and enjoys being part of the process in his own way. Colorado Center for Lunar Dust and Atmospheric Studies (CCLDAS), 2009-2010. Prior to attending law school, Mike designed and implemented remotely controlled high-voltage circuitry while working with the CCLDAS team to build a lunar dust accelerator at the Lunar Environment and Impact Laboratory (LEIL). This project allows for the calibration of NASA satellite-mounted dust detectors along with furthering the understanding of complexities in the lunar dusty plasma atmosphere. Outside of work, Mike is an active participant of the Silicon Flatirons Center, a collaborative group that focuses on the interaction of law, technology, and entrepreneurship. Mike’s a native of Colorado and a graduate of the University of Colorado. He takes advantage of the outdoor sports offered whenever he can; he’s an avid golfer, hiker, and skier. 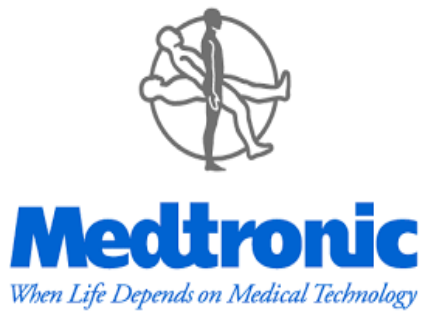 M&G Team Secures IPR Win For Medtronic Against Bosch.